Stefano Bonaccini is president of the Council of European Municipalities and Regions (CEMR) and president of the Italian region of Emilia-Romagna. In Bonn, the Climate Summit of Local and Regional Leaders is being convened by ICLEI with the support of the associations of local and regional governments like CEMR. Europe’s cities, towns and regions are emerging as the motor of the bloc’s climate efforts, in many cases going beyond the policies of their national governments. The EU needs to reflect these efforts in a more ambitious climate plan of its own: a new strategy to decarbonise Europe by 2050 that places cooperation between towns, cities and regions at its centre. This is what we have been advocating at CEMR, on behalf of the 130,000 local and regional governments we represent through our 60 national associations within the EU and beyond. The need for greater ambition is pressing. The last 12 months have vividly illustrated the future that awaits us if we fail to dramatically reduce greenhouse gas emissions. If these emissions continue unabated, by the middle of the century this summer’s Lucifer heat wave could become normal in the European Mediterranean – including in Emilia-Romagna, the region of which I am President. 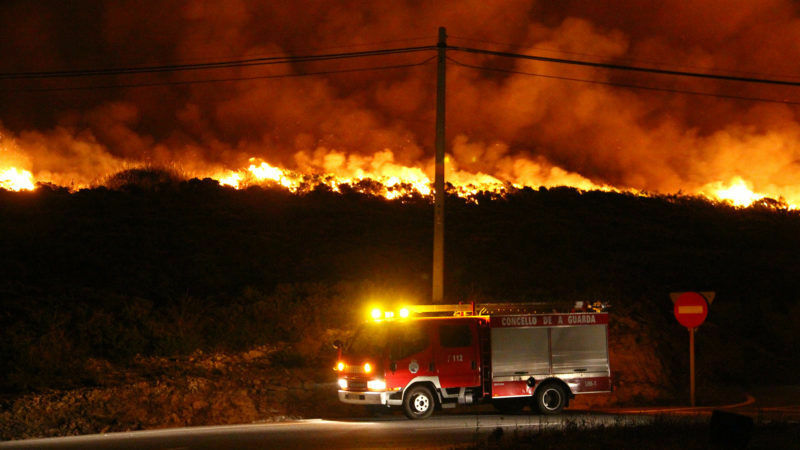 It triggered deadly forest fires in Portugal, and sent hospital admissions for heatstroke soaring. Rising temperatures are severely impacting public health and will exacerbate pressures on Europe’s health systems. In 2015, an additional 15 million vulnerable people were exposed to heat waves compared with the average for 1986-2008. Climate change will also likely cause greater instability on Europe’s borders, leading to more migration and related tensions. The economic costs faced as a result of climate change are potentially enormous, even for modest levels of climate change, the European Environment Agency warns. These costs rise significantly for scenarios of greater levels of warming. Unfortunately, the response so far is not equal to the challenge. In Paris in 2015, the world’s governments committed to holding warming to no more than 2°C above pre-industrial levels. However, according to the latest research from UN Environment, national commitments made in Paris – the so-called Nationally Determined Contributions – will deliver only one-third of the emissions reductions needed to stay on the 2°C pathway. That research also points to the important role that non-state actors – including cities and sub-national governments – could have in closing the emissions gap, particularly when they work together to learn and exchange. Efforts such as the Global and Regional Covenants of Mayors, in which CEMR is involved with other international networks like ICLEI, C40 and UCLG as well as their European counterparts, are bringing cities and local governments together in the fight against climate change. In Europe, the Covenant of Mayors for Climate & Energy – hailed as the world’s biggest urban climate and energy initiative – has more than 7,600 signatories, who are representing some 240 million people, more than a third of the EU’s population. They commit to reducing carbon emissions to at least 40% below 1990 levels by 2030. These signatories are on course to deliver almost a third of the EU’s 2020 climate target, equivalent to almost 240 million tons of carbon dioxide equivalent. Most of these reductions are the result of more energy efficient buildings, less carbon-intensive electricity, and lower-carbon transport systems. These efforts have delivered more liveable cities, whose populations enjoy cleaner air, less congested roads, and more affordable and healthier homes. Leaving the well-known paths, they have spurred the creation of new jobs, in clean energy, construction and waste management. Tackling climate change represents one of the most exciting economic opportunities of the decades to come. Cities and local governments are demonstrating that local action is key to tackling climate change. Europe’s cities and local governments are closer to their citizens, and more responsive to their needs, than national governments. Often, it is local governments that have the responsibility to deliver the planning, transport, and building standards that can both reduce greenhouse gas emissions and improve local air quality. But the contribution of cities, towns and regions is not reflected in the ambition currently shown by EU leaders. We call upon national and EU-level leaders to adopt a plan for Europe to decarbonise by 2050, with interim emissions reduction targets that reflect the best practice of our cities and regions. We call for effective access for cities and regions to the means to finance investments in clean energy, low-carbon transport and extensive improvements in the efficiency of our building stock. And we call for a stable and ambitious policy framework that enables cooperation between local governments across borders, within and outside of the European Union. Climate change has no passport. Industrialised economies like those within the EU contribute most to causing climate change, and we have a duty to those countries outside our borders where the impacts are felt strongest. The experiences of local and regional governments in Europe in limiting their climate impact and preparing for the effects of climate change are useful for accelerating action in those subnational governments outside of Europe in a much less favourable economic situation. The launch of the Covenant of Mayors in Sub-Saharan Africa (CoMSSA) and the increasing attention to climate issues at the local level across the world through PLATFORMA, are initiatives the EU should support more intensively. Acting locally can have a positive impact on the thinking globally.